Through 2018 we will be updating our website and whilst visually it should remain similar we would like to increase our front page customers’ images. With this in mind – we have put together a little incentive for all you analogue fans out there. Please email HERE your B&W Bergger image taken on Bergger film or printed with Bergger paper. The winner will receive £100 of Bergger products of their choice. Linhof Studio is a company based in the UK with VAT Number 2803513. The call for entries “Linhof Studio Bergger Fine Art £100 Giveaway” is international. The winner will be announced on the 2nd of May 2018. 1. The final date for submissions is Monday the 30th of April 2018 (GMT). All submissions sent after this date and time will not be considered. Any and all topics, content and subject matter are acceptable. “Linhof Studio Bergger Fine Art £100 Giveaway”is open to anyone, anywhere in the world. 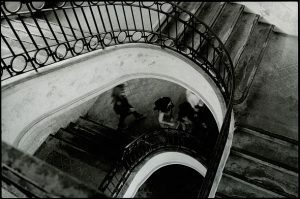 Participants guarantee that they are the sole copyright owner and creator of the photographs. The participant confirms that each person depicted in the photograph has granted permission to be portrayed as shown, and that all other relevant permissions must have been obtained. 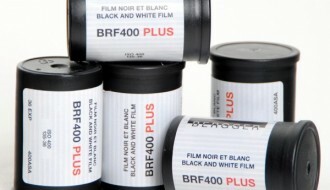 A verification or signed release may be requested by Linhof Studio as needed. By submitting work to the call for entries, all participants agree that all the work submitted may be reproduced by Linhof Studio, (with photographer copyright/credit) and used to conduct and or promote promotional activities in relation with Bergger Fine Art products. The participant hereby grants Linhof Studio with a right to use submitted photographs in the framework of such promotional activities. Participants may send up to 4 submissions. 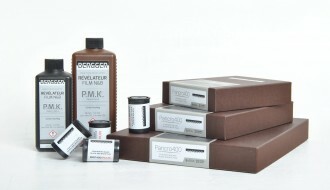 A photo of the negative (BERGGER Pancro400) and proof of purchase may be requested by Linhof Studio as needed. All incomplete submissions in the call for entries will be rejected. Linhof Studio guarantee to be impartial, loyal and sincere of the jury’s members and their final selections. The photo chosen for the Linhof Studio website may come from outside of the contest. The jury organizes itself independently for its deliberation, and will make its final decisions without appeal, and no persons appeal shall be considered against its decisions. The winners receive a £100 voucher (inclusive of vat) to be redeemed at Linhof Studio against Bergger Fine Art Products. Linhof Studio retain the right to modify the rules, postpone and or cancel the call for entries without notice. Linhof Studio will not assume responsibility for any incorrect, inaccurate or incomplete information, either caused by website users or by any of the equipment or programming associated with or utilised in the call of entries, and assumes no responsibility for technical, hardware or software failure of any kind, for lost network connections, garbled computer transmissions, other problems or technical malfunctions with regard to the call of entries. By submitting work to Linhof Studio, participants fully acknowledge and accept the rules in their entirety. Any and all difficulties in the interpretation of the present rules will be resolved only by Linhof Studio. Bergger have introduced Warm Tone and Cold Tone paper developers to compliment their superb range of fibre based papers. Linhof Studio stock superb quality pinhole systems for Large format .